Today was the first day of school for most of the public schools around here. But not for us. We have chosen to homeschool. And we actually started school a few weeks ago. So today was just another school day for us. But then it was time to hop off Facebook, finish breakfast and sit down for our Bible lesson that we start every day with. Then I got to hear Bug practice the piano and afterwards we broke out the LEGOs to start making Venn diagrams for math. We cracked open our library books to start researching Bug’s new favorite animal – whale sharks – for science. After seatwork and lunch we snuggled on the couch to read a couple chapters of Frog and Toad. And then he ran outside for a little wiggle time and brought me back a handful of “really cool leaves”. We wrapped up the day by painting a sailboat, writing a story about family and taking his very first spelling test (which he scored a 100 on!) At the end of the day I realized, that he wasn’t missing out on anything. And neither was I.
J ust because we Homeschool, doesn’t mean that we can’t celebrate the start of a new year. Our “new year” is just a bit different than the norm. I still totally plan on doing this idea that I started last year on the first day of preschool! In fact, if the weather cooperates, I plan on going outside tomorrow to snap his picture in it for this year. I can’t wait to compare the two pictures! 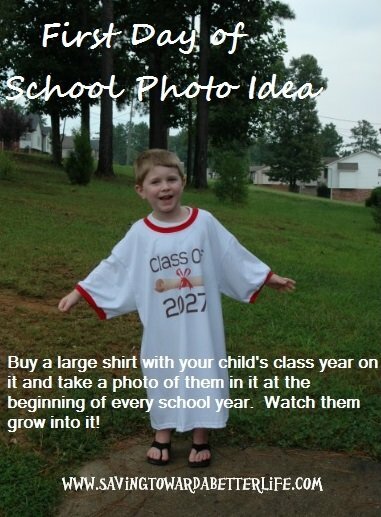 Buy a large or XL shirt with your child’s class year on it and take a photo of them in it at the beginning of every school year. Watch them grow into it! We start homeschool co-op on Monday so that’s kind of serving as our “first day”. Bug is excited about it. And I have the first day flutters about it. :) I have my first day of school printable for pictures that morning all ready to go. I chose a cute one that just says “I’m a Kindergartener” – it seemed more appropriate that one that says “1st day”. Plus, it’s super cute and fun. He’s got a (semi) new backpack. It’s never been used for school so he’s excited that he gets to really use it for school. And he loves his lunch box from preschool last year so that works. It’s in fine shape so why buy a new one if you don’t need it? We will do co-op every Monday and I will have to pack a lunch and snacks for both me and Bug. 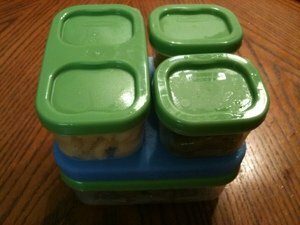 I LOVE my Rubbermaid Luncblox kit (you can see me talk about it here) but I am going to have to get another one or two to accommodate both of us. These are fantastic for lunches! Speaking of, I have a lot of Fun Lunchbox ideas because who says lunch can’t be fun even if you’re eating at home?? Plus, I like the idea of having lunch made the night before. It makes our homeschool day go a little smoother if I don’t have to stop to make lunch. 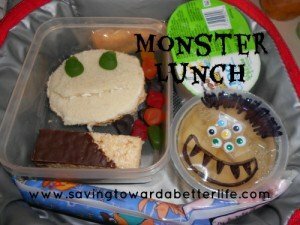 I’m always looking for fun food ideas so be sure to come check out my Fun Lunchbox ideas Pinterest Board! 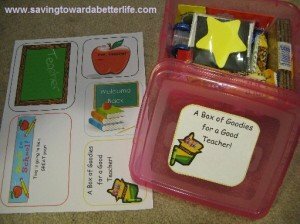 If you find yourself in need of some printable back to school tags or goodie box ideas for a teacher (or even for your students!) I have some back to school printables here. 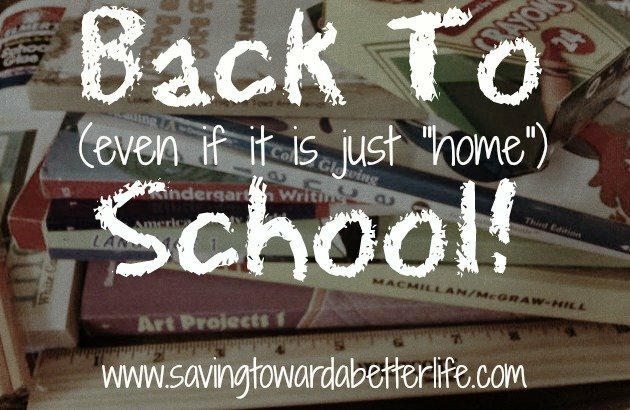 And I’m always looking for fun school ideas so be sure to come follow my Back to School Ideas Pinterest Board! No matter what your school situation is, public, private, preschool, college, home, or other, a step towards something new is always an adventure! So, Happy Back to __(your)__ School! Whatever it may be!